While black fashion designers are a rarity in the industry, there are many who have made great strides—not only in their designs, but in creating opportunities for other designers of color. That's why we wanted to highlight some of the notable names whose ideas and innovations have helped shape the course of fashion. So what better time than February, when it's not only Black History Month, but New York Fashion Week, to appreciate their contributions? 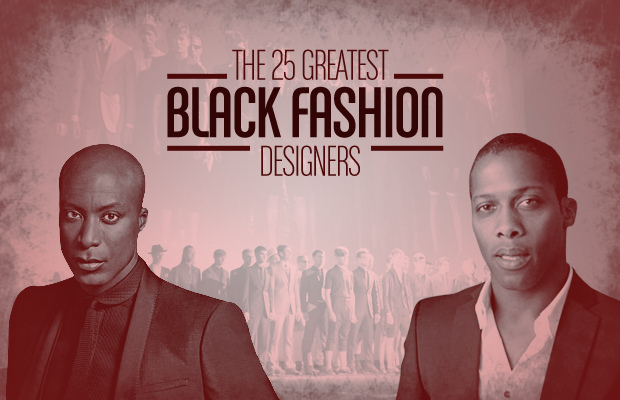 From avant-garde designers with inspirations from underground subcultures, master tailors still at the top of their game, and footwear designers behind some of the most creative kicks to date, these are The 25 Greatest Black Fashion Designers. Carly Cushnie grew up in London, England, to Jamaican parents. Do not miss Nigerian-born, Duro Olowu's collection for JC Penney inspired by the designer's Spring '13 RTW African-inspired collection. Get a first look at this under $100 collection, available March 2013.